As I was aimlessly enjoying some IG while drinking a freshly brewed cup of Joe via freshly ground beans and basking in sunshine, I came across the above quote. It hit me like a Mack Truck going full speed. How many times do we think we can’t achieve our goals, whether they be minute or grand? What I most appreciated about having each friend do the test was the astounding accuracy the test had, but also my research resulted in knowing what they need, how to love them, what they desire in life and how their personality type interacts with others. Note: I also asked the Mamacita and will be asking my babies to also do this. The more we know, the more we are able to cultivate relationships. And so, my small goal of being a better friend might seem quite abstract, but when broken down into smaller chunks, I was able to see through the haze and see a clear outcome. Now let me ask you; what are YOU wishing for, hoping for, striving for? How are those New Year’s resolutions coming along? 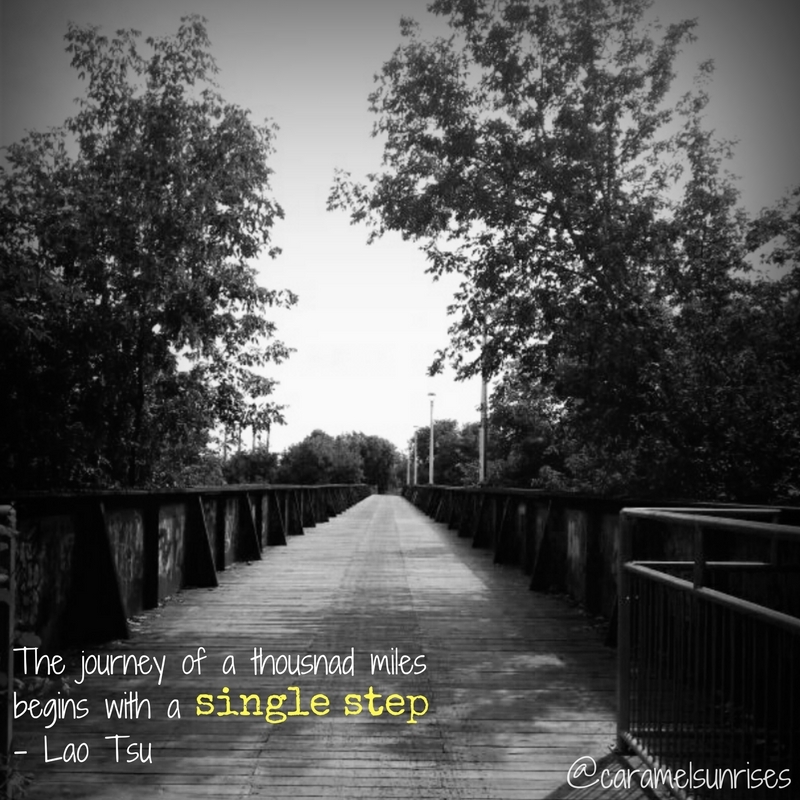 I would like to encourage you in that baby steps are still steps moving forward. Even in the whole “two steps forward, one step back” scenario, you are still one step ahead than you were a week, a month, a year ago. In that stepping back, you may have learned a valuable lesson, a new way of doing things that you can then use in the future so maybe the next time you are challenged in this area, you will not have to take that step back! What steps can you take TODAY to change what your future looks like?